I'm not sure why exactly but Valentine's Day has always been one of my favorite holidays. 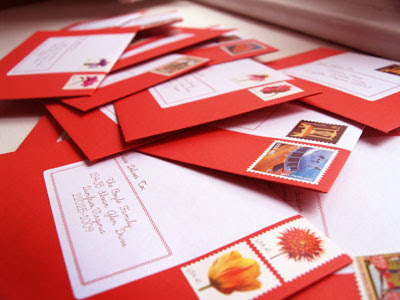 Perhaps it's the ideas I got into my head about it when I was a little girl, thoughts of tiny mailboxes filled with silly notes of kindness and love with their little red mailbox flags waving triumphantly, announcing that they were full to the brim. Victorian valentine's with a few too many floral motifs framing their edges and splashed with nudie babies armed with bows and arrows, little envelopes with perforated cards stuffed into school desks. Red lollipops with white sugar messages that melted away on your tongue. Perhaps these idea got stuck in my brain and never left. I know most people think it's a hallmark holiday created for the purpose of commercialism and maybe it is, alright it probably is. but you'll have a hard time convincing me not to get giddy like a school girl when the date approaches. My sweetheart and I forget all the hallmark notions and overpriced candy, we forgo the marked-up, cliched roses (not that we object to anyone else's celebrating with these) and just use the day to remind each other why we fell in love. 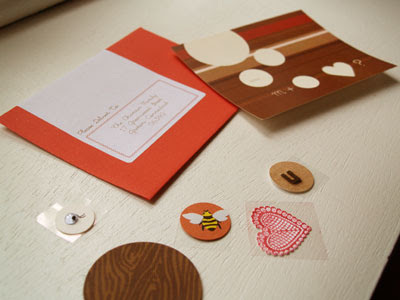 It's a rebus puzzle, each of the pieces has little sticky dots so they can be stuck onto the card. i'm so happy . . .